It is now fifty years since Berkeley's “Sixties" era climaxed in the tumultuous events of 1969 surrounding the creation of People's Park. Local political and social ferment began with civil rights demonstrations in the late 50s and continued into the 1960s through the Free Speech Movement, Vietnam era protests, and the growth of the counterculture. The creation, displacement, and return and continuation until today of the People's Park movement and impacts on the local community and the nation will be the focus of the exhibit, which will open a half century after the Park was created. 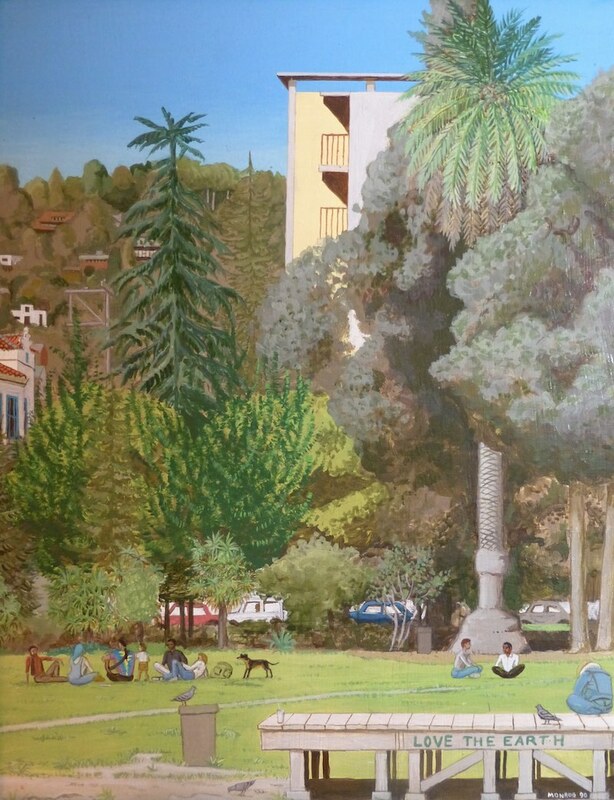 The struggle around People's Park was inarguably one of the most poignant and high-profile events that took place in Berkeley in that era, and things remains in ferment with current University plans to build on the Park. The exhibit will include many period photographs, some of them not seen before, and a portion of the exhibit will examine the possible futures for the property. In addition to changing exhibits, the History Center now features a permanent illustrated Timeline of Berkeley History giving an overview of major periods and events in the evolution of the city. Hours (during exhibits): Thursday–Saturday, 1–4 pm. Exhibit closing day: Saturday, September 28, 2019. Follow the Berkeley Historical Society on Facebook. See the CALENDAR page for BHS events and other local events of interest. For past exhibits and events, see our Web Archive.